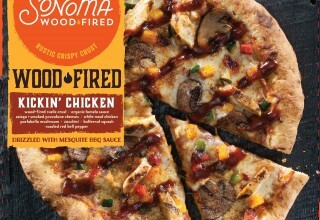 COLUMBUS, Ohio, May 1, 2018	(Newswire.com) - Today marks the launch of Sonoma Woodfired, a premium oven-ready pizza line that’s bringing a pizza style typically exclusive to restaurants and owners of fancy kitchens to grocery store shelves. 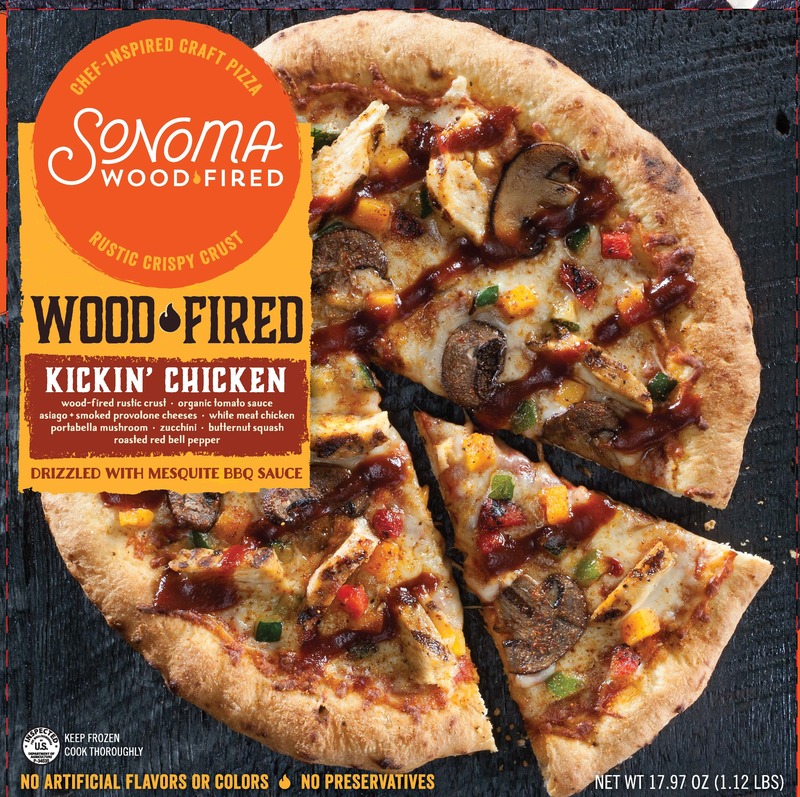 The new line, introduced by the Jane's Dough Foods culinary creatives behind Sonoma Flatbreads Gluten-Free and Donatos Edge-to-Edge® pizzas, will be available in select stores nationwide, starting May 1. 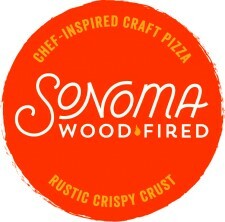 Through an authentic wood-fire cooking technique, Sonoma Woodfired captures the signature smoky flavor and aroma of the style and ensures its pizza crusts are light and crispy, never soggy. 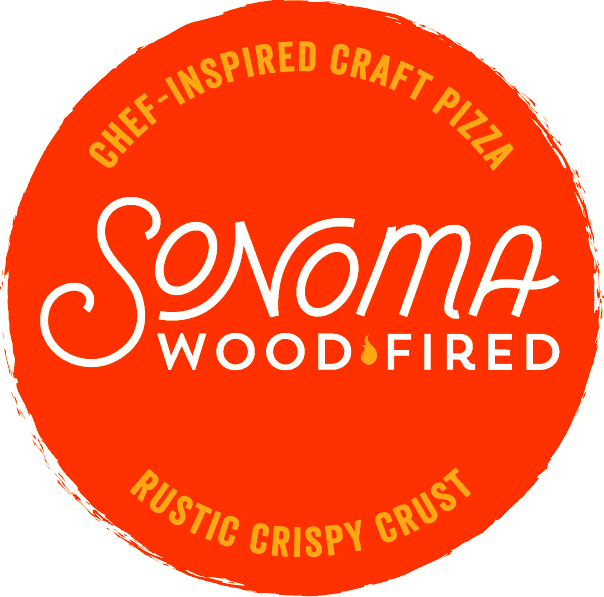 The Sonoma Woodfired pizza crusts are made with just six natural ingredients, and are paired with a full-bodied sauce, made from sun-ripened organic tomatoes, and simple, yet flavorful toppings without any artificial flavors, colors or preservatives. Kickin’ Chicken: Tender grilled chicken breast, roasted zucchini, butternut squash, portabella mushrooms and roasted red peppers top the finest blend of aged, naturally smoked provolone and Asiago cheeses. Finished with a mesquite barbecue sauce drizzle. 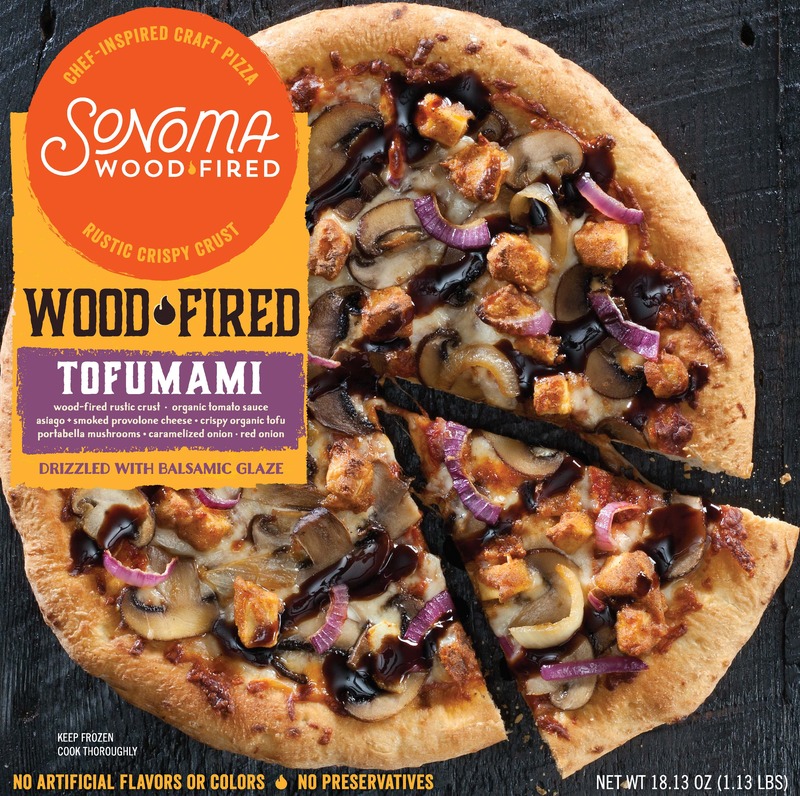 Tofumami: Zesty flour-crusted organic tofu, portabella mushrooms, caramelized onions, red onions atop aged, naturally smoked provolone and Asiago cheeses. Finished off with a rich, sweet balsamic glaze drizzle. 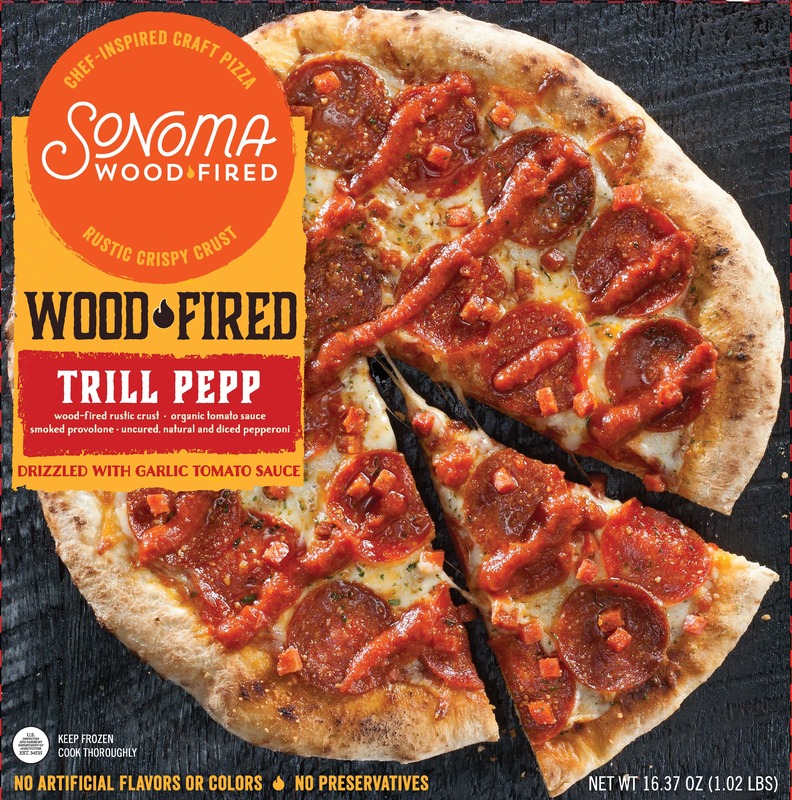 Trill Pepp: Savory uncured pepperoni, premium natural pepperoni and diced pepperoni come together with delicious aged, naturally smoked provolone and Romano cheese. Finished with oregano and a roasted tomato-garlic drizzle. Named after Jane Grote Abell, Jane’s Dough Foods was established in 2008 by the Donatos Pizza Company to mass-produce consistently excellent dough and pizza products. 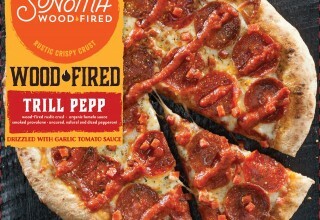 Having recognized that the pizza manufacturing industry was focused on speed first and quality second, the company instead built a culture to deliver better tasting products with quality as the primary concern. 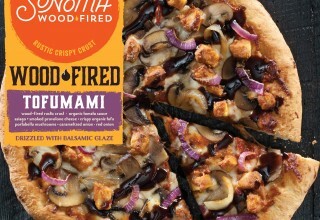 Jane’s Dough Foods’ bakery is certified for Gluten-Free production, and is partnering with retail supermarkets, membership clubs, convenience stores and foodservice outlets to grow their pizza categories through higher quality products.